Twice as many CEOs believe the global economy will improve in the next 12 months, compared to those polled last year. But it’s a fragile optimism, which has only led to a small rise in confidence about business growth prospects in 2014. And many CEOs remain very worried about over-regulation and the ability of governments to tackle debt and deficit levels. Yet — for now — serious global risks have been averted and CEOs are thinking once again about growth. But finding that growth has gotten tougher. Some emerging economies are slowing down and it’s become increasingly clear that they’re diverging in their fortunes as each faces its own unique issues. At the same time, advanced economies appear to be on the mend, although they too face challenges. It’s clear that CEOs are struggling to interpret these signals, with many concerned about sluggish growth in both emerging and advanced economies. So how are CEOs responding to the changing global footprint? Nearly one third say their main opportunity for growth lies in existing markets, compared to just 14% who say the same for new geographic markets. Many leaders are also reviewing their portfolio of top overseas markets. This year CEOs see the US, Germany and the UK as more attractive than some of the BRICS markets, compared to last year. And they’re turning to newer markets to find growth as well — in particular Indonesia, Mexico, Turkey, Thailand and Vietnam. Now comes a new kind of challenge to the evidence of a cognitive decline, from a decidedly digital quarter: data mining, based on theories of information processing. In a paper published in Topics in Cognitive Science, a team of linguistic researchers from the University of TÃ¼bingen in Germany used advanced learning models to search enormous databases of words and phrases. Dr. Carstensen and others have found, too, that with age people become biased in their memory toward words and associations that have a positive connotation – the “age-related positivity effect,” as it’s known. This bias very likely applies when older people perform so-called paired-associate tests, a common measure that involves memorizing random word pairs, like ostrich and house. “In essence, what Ramscar’s group is arguing is that an increase in crystallized intelligence can account for a decrease in fluid intelligence,” said Zach Hambrick, a psychologist at Michigan State University. In a variety of experiments, Dr. Hambrick and Timothy A. Salthouse of the University of Virginia have shown that crystallized knowledge (as measured by New York Times crosswords, for example) climbs sharply between ages 20 and 50 and then plateaus, even as the fluid kind (like analytical reasoning) is dropping steadily – by more than 50 percent between ages 20 and 70 in some studies. “To know for sure whether the one affects the other, ideally we’d need to see it in human studies over time,” Dr. Hambrick said. I was recently watching the live broadcast of the Australian ParliamentÂ as the various members and ministers, on both sides of the house, rose to speak during Question Time. I soon began to get that familiar feeling of disappointment and bewilderment at the quality of the level of discussion so typical of the Westminster system of debate. So I tried a simple metacognition experiment. Rarely could I confidently answer, “Yes, that is true!” If I had to make a subjective guess I would say that more than 80% of their statements and claims were only half truths … at best. 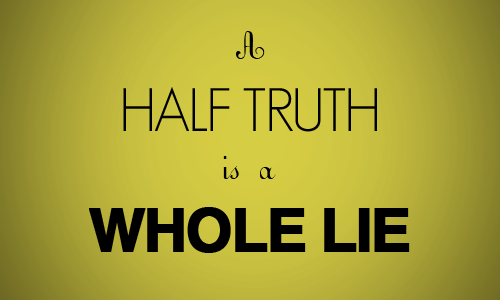 And, as the widely-quoted Yiddish proverb says A half truth is a whole lie. I’ve been using Macs every day since then for 30 years. My Mac enabled me to put the School of Thinking online–the first ever online school. SOT is now 100% online and there have been many firsts since then including the world’s first MOOC. This Australia Day, enough with actors and sports stars. Researcher Cameron Turner says there is one Australian who deserves the accolades more than any otherâ€‰–â€‰and you’ve never heard of him. On Sunday we celebrate our achievements as a nation and our great compatriots, and since 1960 we have been giving out the “Australian of the Year Award” every January 26.Â Chief among the heroes who tug on our sense of national pride are sports stars, Hollywood actors and artists. Rarely at the forefront of the celebrations are the many great scientists and intellectuals Australia has produced. The Australian gave the first and second places on its list of “The Greatest of All” 50 top Australians to Banjo Paterson and Sir Donald Bradman. The list contained 12 sportspeople, nine entertainers and only three scientists. Nowhere on the list was the scientist who is arguably one of the greatest of them all, but who is little remembered today. Sir William Lawrence Bragg was born in North Adelaide in 1890. He is the youngest person to win the Nobel Prize, which he did at only the age of 25. At 31 he was elected a fellow of the Royal Society, the oldest and most elite scientific society in the worldâ€‰–â€‰a qualification that, he said, “makes other ones irrelevant”. He would live through two world wars, and in 1941 he received the knighthood for his scientific contributions. Son of an equally decorated scientist, Sir William Henry Bragg, young William Lawrence Bragg made his first scientific contribution as subject, rather than experimenter. After William Lawrence broke his arm falling from a tricycle, his father used the recently discovered powers of X-rays to investigate the break; this was the first surgical use of X-rays in Australia. A keenly interested scientific mind from an early age, Bragg spent much of his time at the Australian Astronomical Observatory, which his family played a part in maintaining, and collecting shellfish, discovering a new species of cuttlefish. At 14 he entered the University of Adelaide, where his father held a position, studying mathematics, physics and chemistry. His father’s following academic appointment was at the University of Cambridge, and he took the family to England, where father and son made discoveries relating to X-rays that earnt them the Nobel Prize in physics in 1915, a year where they beat some tough competition in Max Planckâ€‰–â€‰formulator of the field of quantum physicsâ€‰–â€‰and Albert Einstein. One could be tempted to think that as a first-year research student Bragg took a backseat to his decorated father. Quite the contrary, Bragg’s biographer, Graeme Hunter, reports that it was the son’s insights that drove the research forward. It was in this time he formulated “Bragg’s Law”, which allowed the calculation of the position of the atoms within a crystal by examining the diffraction of X-rays. Somewhat like examining the silhouette of an object by shining a light on it, X-ray crystallography allowed the atomic structure of various materials to be investigated; it is particularly useful in the study of metals and biological materials. Bragg was one of that unlucky generation who twice had to endure total war. His research was halted, but his scientific acumen allowed him to avoid combat and contribute to the war effort by working on techniques to locate enemy guns using sound. His brother Robert wasn’t so lucky, dying in Gallipoli in 1915. For his contribution to the victory of the Allies in World War I Bragg received the Military Cross and was appointed Officer of the Order of the British Empire (OBE). Having already achieved so much, when he returned to uninterrupted research after World War II he still had one major contribution to humanity to give. Bragg became interested in the application of his X-ray methods to the structure of proteins, and was in part responsible for creating a research group at Cambridge’s famous Cavendish Laboratory for their investigation. It was during this time that the group’s research began the investigation of the structure of one protein in particular: deoxyribonucleic acid, or DNA. Bragg played an important part overseeing the research of the young Francis Crick and James Watson, who successfully identified DNA’s double-helix structure via X-ray crystallography. It was on the recommendation made by Bragg nine years before he died in July 1971 that the duo received their Noble Prize. William Lawrence Bragg didn’t score runs for Australian or gain international acclaim in Hollywood. But he contributed massively to advancing scientific knowledge. It’s hard to measure just the extend of the impact of Bragg’s work, but two quick examples: his method of X-ray crystallography was fundamental in the understanding of the properties of many chemicals, including silicon, which is the basis of modern computer chips; his contribution to the discovery of DNA unlocked the new field of molecular biology and all the discoveries and medical therapies that have come from that. So take a moment this Australia Day to remember a truly great but little-remembered Australian.